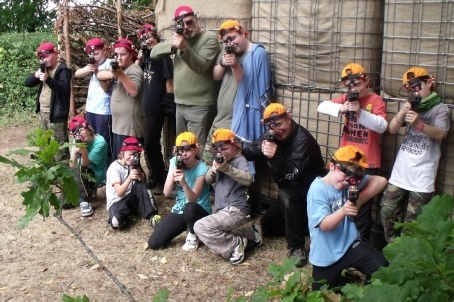 Wye Valley WARFARE is the perfect reward, enrichment or team-building trip for ten year-olds, teenagers or teachers. It’s a great way to get a class, house or staff room to gel at the start of term, or build teamwork and communication skills for other sports. Unlike the Olympic Games, no lethal weapons are used, and MISSION BRAVO is probably the most exciting way to introduce the battlefield of Ethics. LASER OPS games are physically and mentally challenging tactical sport - like paintball but without the pain, the paint, or the cost of the balls. You play 6 to 10 games in 2 hours. The minimum age is 8 and you need 10-24 players.